Last fall, word first broke of the SEGA VISION, which was rumored to be a PSP rival and a re-entry into the portable hardware gaming sphere. That is, until SEGA shot down those rumors. A SEGA spokesperson stated last year, "The VISION is primarily an MP4 video player with some basic games functionality, and not a new handheld gaming machine." The portable media player got a recent airing at ATEI coin-op and amusement show in London. It's about the size of a 30GB iPod and isn't game ready. When the PMP was first announced, the original model was shown running simple flash games. However, SEGA didn't want to make it appear as though this first-and-foremost media device was a portable game console that could and would compete with the DS and PSP. Thus, SEGA cut the game function. The credit card sized SEGA VISION has 2GB of on-board memory and can play AVI and MP4 video files, MP3s, radio, television and eBook/text. There's a still 1.3 megapixel camera and voice recorder as well. 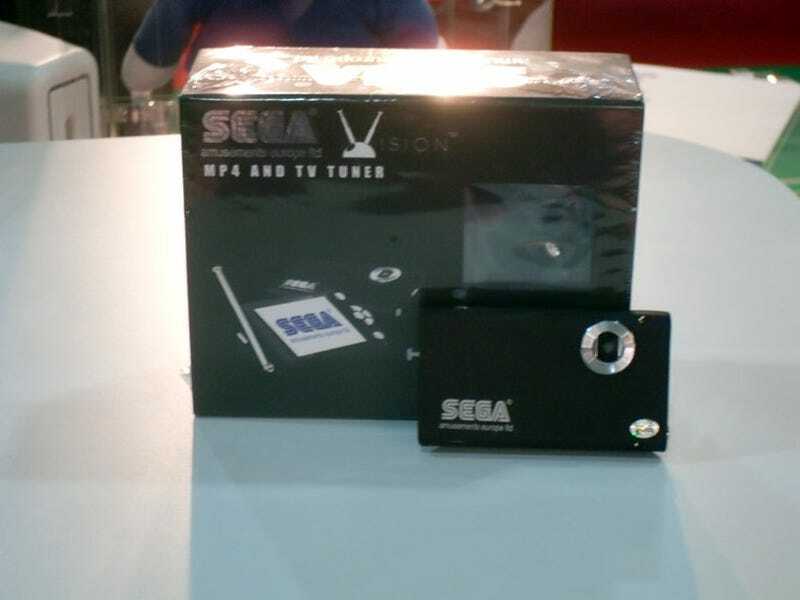 Currently the SEGA VISION is not sold in stores, but only available as prizes in SEGA's UFO Catcher arcade crane machines. SEGA Amsusements Europe is looking to possible sell the device online. SEGA VISION is the company's first entry into the consumer gaming hardware market since 2001.